Many bloggers have pointed out how they regretted not implementing opt-in forms to let readers sign up for email updates when they started blogging. I did, but apart from this English-language blog, I have another one in German. Therefore I was looking for a service that would allow me to use both languages – and it wasn’t as easy as I thought. Why should I even bother to get email subscribers? Even if you do not (yet) have many readers, it can be vital to find email subscribers from the start. Especially if you are not blogging regularly, it is great to be able to inform people, who are interested in your stuff about new articles. I used to have big gaps between my posts and am only now starting a more regular routine, so this function has been useful from the start. Dealing with two languages turned out to be rather tricky, though, I wasn’t able to send any infos for quite a while and I will tell you more about this further down. Let’s now start from the beginning. A company that receives so many good reviews from people around the world must be good for me, too, right? Unfortunately, AWeber turned out to be the wrong choice in my case. With them, it was very difficult to change opt-in forms to another language – most templates didn’t work for customization and sometimes I even needed special permission for using my own subject lines. I am sure they are useful if you are writing only in English, but AWeber are definitely not suitable for people who are looking for multilingual solutions and I had to find a different service. I was happy to learn I could customize Mailchimp in different languages. There was a catch, though: it required a lot of effort. They provide automatic translations, but unsurprisingly with many mistakes. Don’t even think of using them if you are not fluent in the other language. Eventually I translated most of the various templates for subscribing, unsubscribing, changing subscriber details etc. myself from scratch. Then I encountered another problem: I had translated the text on the “unscubsribe” and “update preferences” links as well, because I needed them to be in German, but Mailchimp does not allow you to do that. My account was blocked and I could not send any mails for quite a while – neither in German nor in English – without knowing what the problem actually was. With a lot of trial and error, I figured it out eventually: once I had changed the text back to English, they unblocked me. Mailchimp themselves alert people to the fact that you need to give readers an option to unsubscribe and update their preferences according to international law. I don’t understand why they seem to believe having this option in English is enough for everyone. There are still many people, who don’t speak English and they would not be able to find these links. I almost regretted chosing Mailchimp, but apart from the challenges mentioned above, I find them rather convenient to use. In my opinion, I cannot expect a great service from a provider that I don’t have to pay for so far. At least they allow me to send a large number of emails for free without using an additional German provider. And I have found my own solution for the untranslatable text: I left it in English (as there is no other way) and created a text box at the bottom of my German emails, saying which English language link people need to click on (leading to a German form that I was allowed to translate). Then I saved everything as an email template to avoid dealing with it manually each time. Once I had my Mailchimp account up and running, I thought I needed to find a suitable plugin to put sign-in-forms on my blogs. 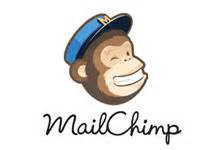 With some more trial and error I discovered Mailchimp for WordPress. They have multilingual options and I found them handy to use in two languages. I am probably different from most people with my blogs in two languages and Mailchimp looks like the right solution for me. They could also be suitable for you if you are planning to publish anything in another language in future and want to give readers the option to sign up for information in that other language. If none of your texts are in English, however, think again whether you really want to deal with all the work that is required for customizing. You can find providers in other languages that do not involve any translations and here is an example from Germany: if you speak German, you can make use of the recommendations by internet and blog expert Peer Wandiger. He prefers CleverReach for German mailings. CleverReach allows you to send a certain number of emails for free as well. And Peer’s blogs “Selbstaendig im Netz” and “Blogprojekt” are also great sources of information on similar topics.